Community: Tahoe Park Beach Assc. Contemporary furnishings and up-to-date appliances enhance this home. and lake views. 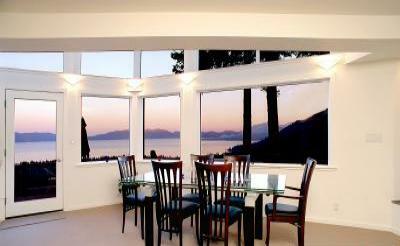 All living areas and bedrooms have lake views. Extensive decks and outdoor gas BBQ. Accessive to private beach association area within 1 mile of the home. 1.7 miles from the center of Tahoe City and grocery stores ect. Winter Skiing, bicycling, water sports, hiking and casinos.